I never thought I would be writing this, but the man who stole my bike has been identified and caught. It turns out his brazenness and stupidity in not trying to hid his identity coupled with leaving the tool he used in crime behind has led to his apprehension. I was contacted last week by the NSW Police from my Local Area Command and asked to come in and provide a statement. The Police Officer quickly told me that my custom MTB had not been recovered (I had already resigned myself to it not coming back). The officer asked me to bring in the “bike specification” sheet that I had provided to the Police and the my local bike stores. I provided my statement at the same time as identifying the thief from many previous mugshots – fifteen to be exact. 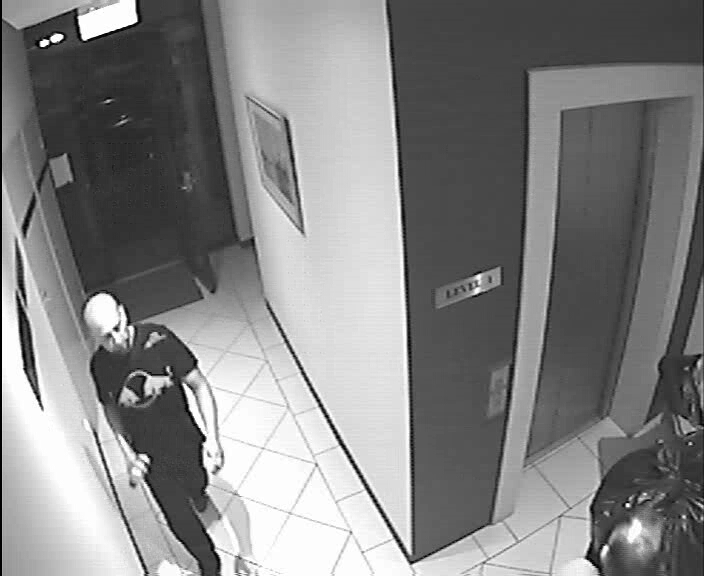 It was easily matched to footage from our apartment’s CCTV cameras. Fifteen mugshots means he has been arrested fifteen times. So who is this guy? Turns out he is a drug addict who resides in Sydney’s Western Suburbs. He is about the same age as I am. A single fingerprint lifted from the adjustable wrench he used to break into my locked up cage was matched to a string of other outstanding thefts in which he has also been implicated. He has a string of other thefts in his “work history”, and previously had a history of stealing automobiles and “chopshopping” them. All of this in the name of maintaining his drug habit. When the Police apprehended him after raiding his residence, they found his shoes and trousers that he wore in the break in. He admitted to the crime, and his hearing will be later this year. Will I get my bike back? Probably not. He doesn’t even remember where he offloaded it. It was only when the photo was shown to him that he admitted to the incident. At some point this guy made a choice, or series of choices, to take on this life. This is what I will never understand. I grew up in a house where the only two drugs consumed were coffee and alcohol, and both in great moderation. None of my immediate family members smoked, and most of my extended family members did not either. When I was growing up at school and through university some people would have a go at me for being boring… for not trying this or that. I could never understand this, because how many times do you have to be told that this is the path that leads to nothing good. I got a real education lesson when I provided my statement. Sitting with the Police Officer at the station provided me with the opportunity to ask some questions about how the theft likely unfolded. The officer told me several things that got me thinking a lot since that day. As it turns out, bike theft if rife in Sydney. Apparently there is even some huge guy who loiters around the suburb adjacent to ours who through sheer brute strength can bust open bike locks with his bare hands. The thieves, while not the sharpest tool in the shed, do know the difference between a top end bike and run of the mill. The officer told me that the Police could probably attribute 90% of thefts to the support of illegal drug activities. Theft in the aim of hocking the goods for cash. I was even told that most thieves do not steal so as to contribute to a future positive outcome – like use the proceeds of a theft to help them go on a holiday. We spoke about the fact that the thief probably didn’t even get paid in cash, but got a stash of drugs for his fix in exchange for the bike. And he probably offloaded it to a ‘house’ before he even returned back to his place of residence. As it turns out, if someone ‘innocent’ lives in one of these ‘houses’ and cannot be proven to be directly implicated in the stolen goods operation they will not get charged. Aiding and abetting in this case is not how it is like on CSI. And here I was thinking that he might try and take it into a bike store to get the busted spoke in the front wheel fixed. I can’t comprehend why the Police receive constant criticism and apprehension from the general public. Sure there are bad seeds in the bunch and there are examples of corruption, but this is a vocation that deals with the worst side of society and is often not backed up by the legal system. Plus, I could probably tell you of many worst examples in the corporate world of unethical behaviour. The Police Officer I dealt with told me about the first six months spent on the job. About the countless dead drug addicts that the officer encountered, who had overdosed on some chemical concoction or another. And about how the legal system does not support them in doing their job by locking the criminals up, or the lack of support groups to try and rehabilitate the addicts to bring them back into society. I asked if there was hope for this thief, but the officer responded that he has hit middle age and this is probably the life he will lead until he is six feet under. The Police have a pretty thankless job. Yes they are not perfect, but nobody is.I was dealt with in nothing but a professional manner by all the officers I dealt with, and was never bullsh!tted to about the reality of the situation. I want to thank them for taking the effort in apprehending the thief, and I wish they got more support to be successful. As for the thief, right now I can’t forgive what he has done to myself and so many others. He will probably see jail time for his crimes and I am indifferent to that. Based on the life he has lead so far, he has shown no appetite to make a different choice – and everyone has the ability to make the tougher choice. Does all this make me feel good? No. I just think about what a waste of the opportunity of life. Powerful post. My first reaction to the title was “Oh Good!” but after reading your account, it is just sad all the way around. I guess it would have been “better” in some respects if the thief had been a part of a larger bike theft ring and his arrest lead to something “good” (not to mention the return of your trusted steed). Instead, it is just sad…. Very sad. The Police Officer said that the thief was so stoned at the time that he couldn’t even remember where he offloaded the bike. Sad, and a waste of life. In the end the most important thing for me is to make sure we raise our boy to understand the choice that this guy made with his life – the wrong choice. Oh and that riding is so much more fun!